Me encanta,menudo cobertizo precioso que te ha quedado!!! Una elaboración y decoración de lujo!!!!! Incredible! 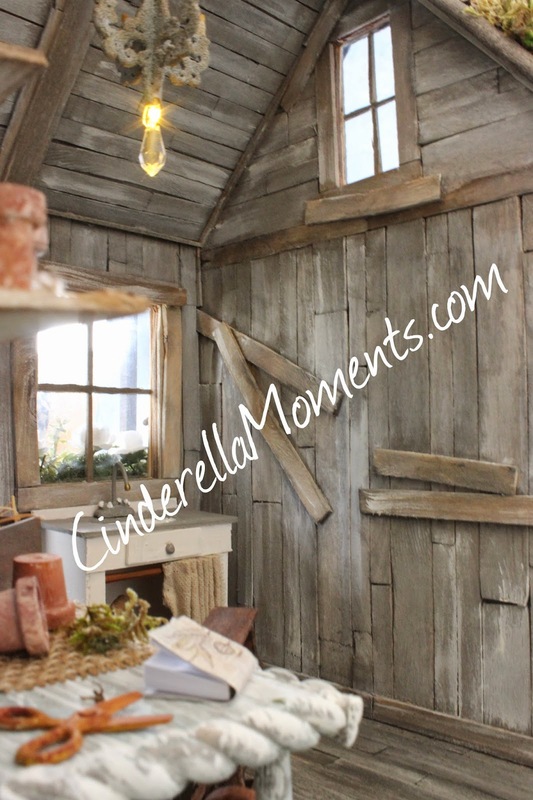 I just love the contrast between rustic & chic. 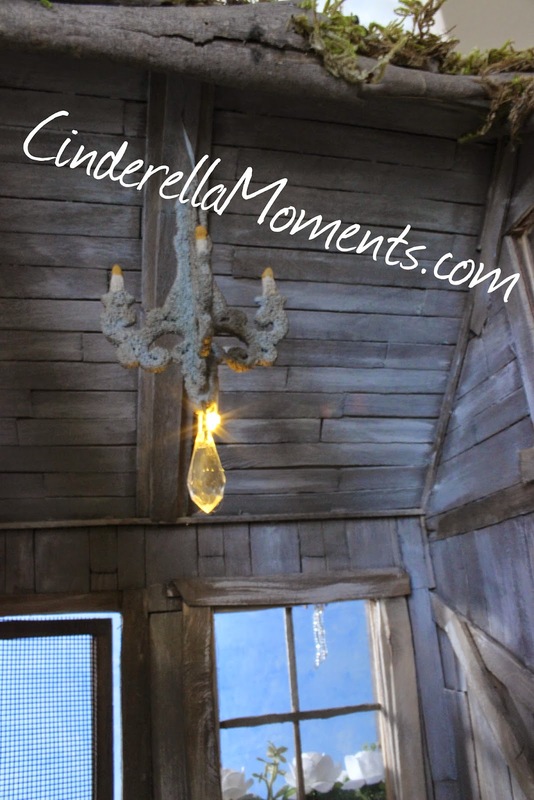 The worn wood with that lovely chandelier...it just such a charming look. I agree with Jennifer, half the fun of owning this beautiful piece is the opportunity to "play." Как всегда, прекрасная работа! Старый потертый сарай, но выглядит прекрасно! Все продумано и предусмотрено! Gorgeous! I like the many small details. Okay, can I order one of these in big girl size:) I love it! I dream of having a real one someday. Your mini version is lovely, down to every little detail. Perfection! How busy you've been while I was away... Everything is so gorgeous and full of charm. 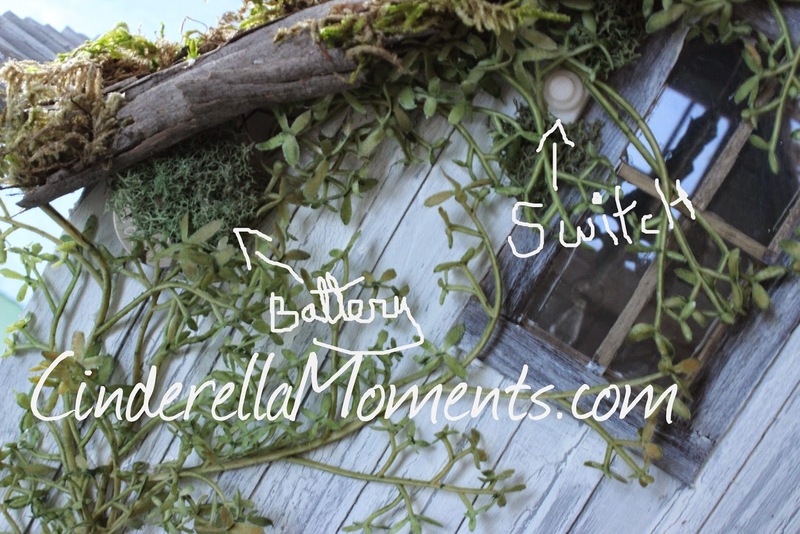 I love the potting shed. Concerning the doll I am amazed. To be honest when I see how the doll was at the start I find it awful and with your work the doll really becomes beautiful with a character of its own. 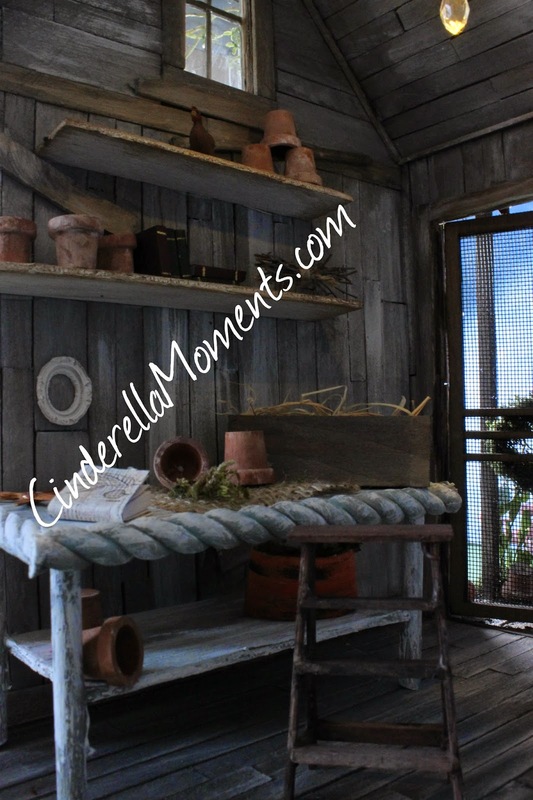 Love the potting shed. 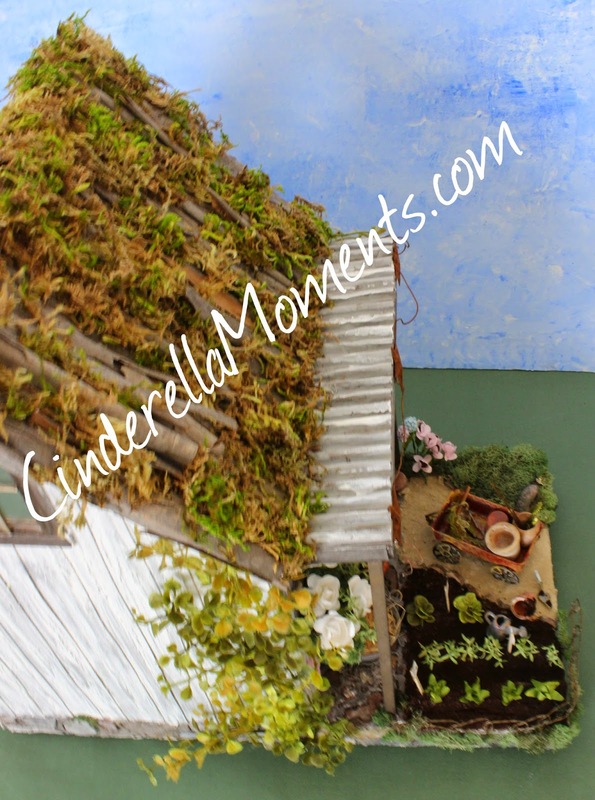 I'm horrible at gardening, so it's a wonderful idea to have it in miniature! BTW, how do you get the ground coffee and sand to stay in place? Hi Donna! I use Aileen's Tacky white glue. I paint it on with a paint brush. Use a pretty decent amount. Then I pour the coffee or sand over it, tap it down a bit and walk away. When it's all dry get the excess off and Voila! 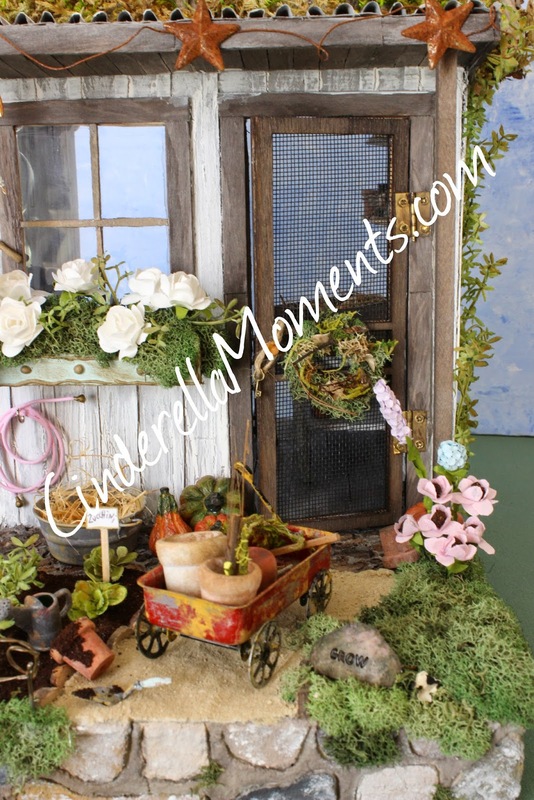 Wow wonderful potting shed I could spend a lot of hours in this one :))) I love the chandelier and the cute red wagon. 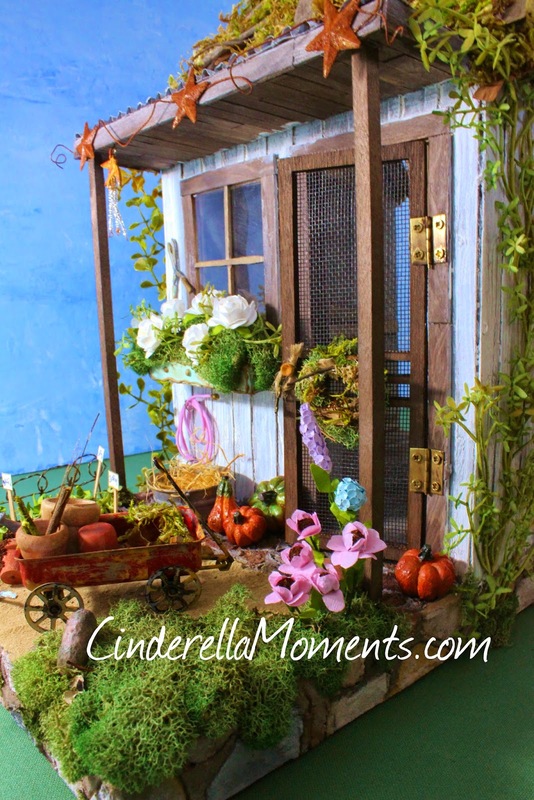 Hi Caroline, this is the most adorable potting shed I ever saw !!! 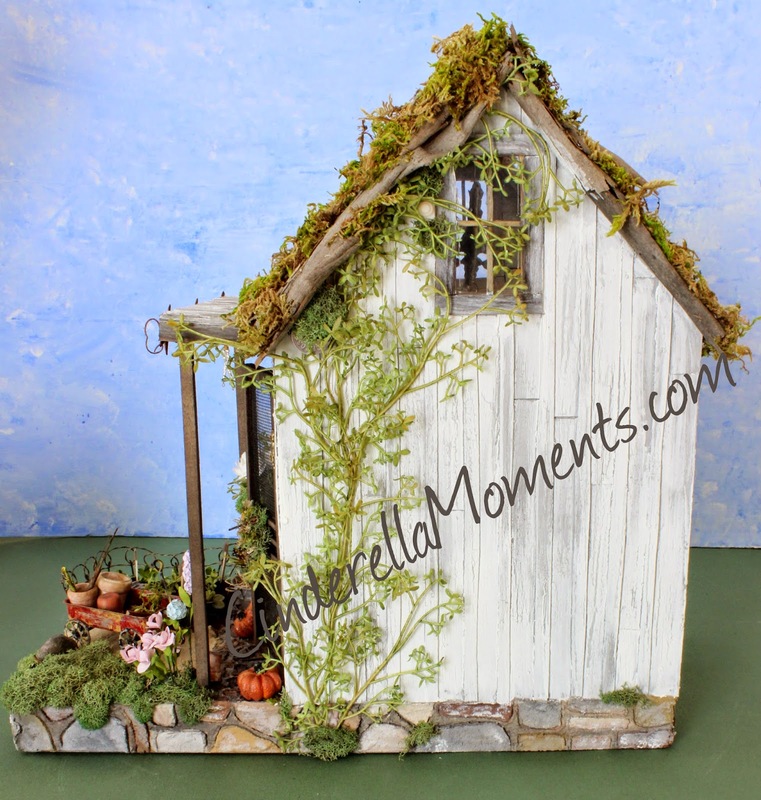 I absolutely love LOVE this shed, the weathered look and the little garden, just wonderful! Oh winter will be here where I am too soon, scenes like this would be wonderful to have for memories! 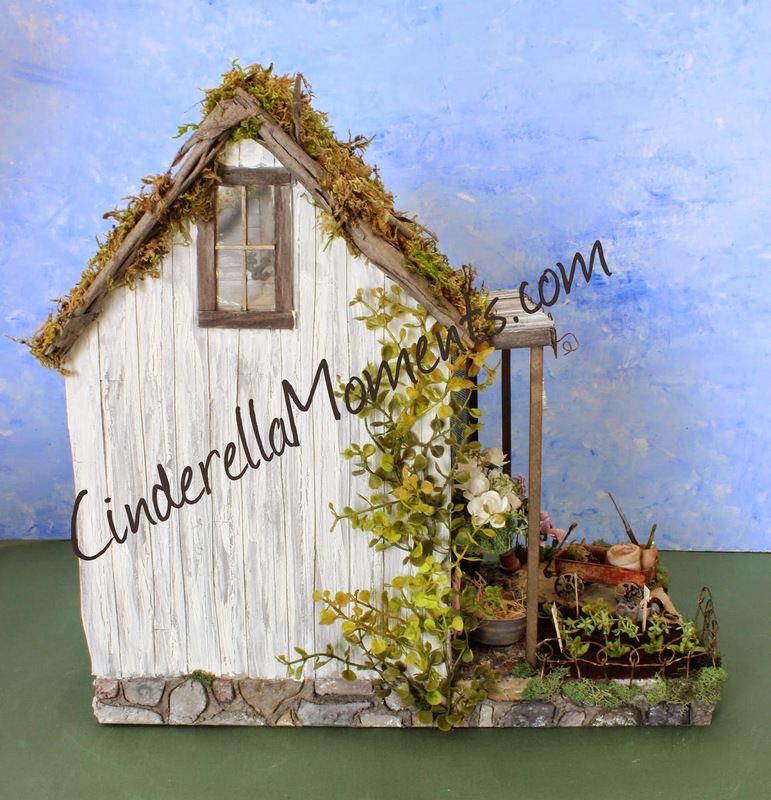 Such a cute shed. 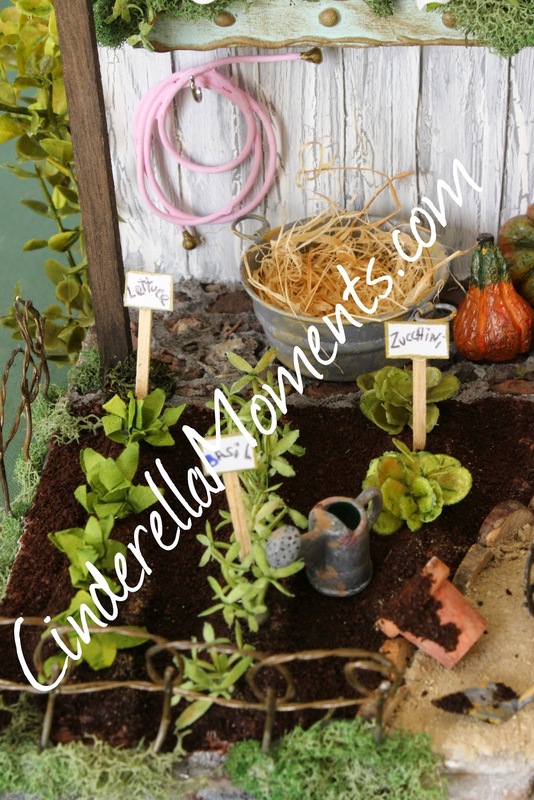 I love little plants that are planted and the little wagon that with all the tools. 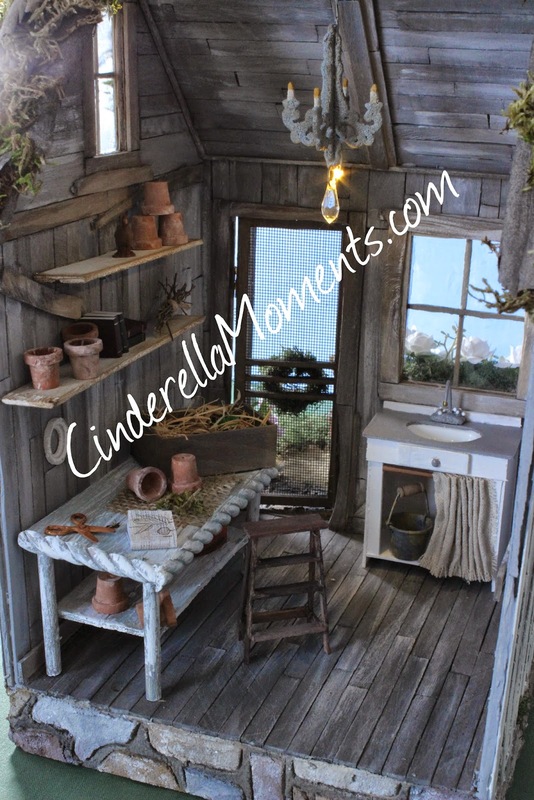 Love the little potting shed! It almost makes me want to take up gardening, despite the fact that I have a "black" thumb. Wonderful shed! You always add such great details! 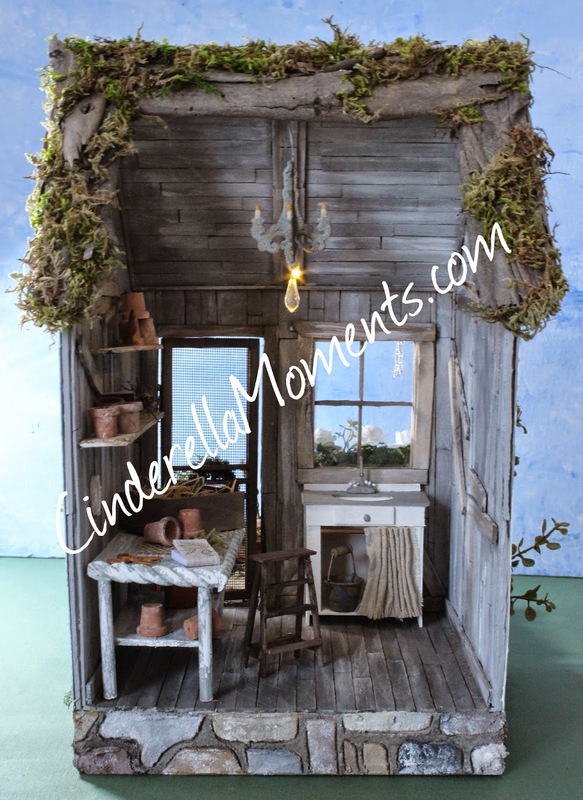 It's completely and utterly enchanting - a favourite for me too, I think... beautiful detailing. 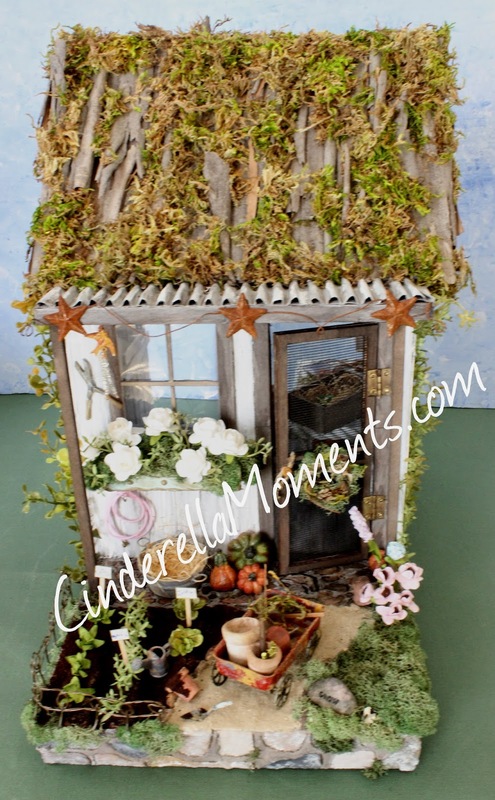 Each time I see your work it leaves me speechless... for the dioramas as well as your Blythes customizations! Splendid! Me encanta es fantástico, me recuerda a la caseta en la que jugábamos de niños, no se porque me ha recordado mi infancia. Just gorgeous - love it!